Should an Olympic engagement ring be made of gold or platinum? 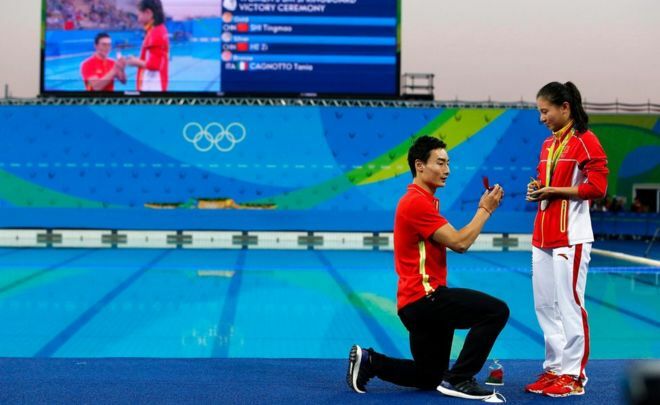 Chinese divers He Zi and Qin Xai picked up more than just gold at Rio as the pair, a silver medalist for the women's three-metre springboard and bronze medalist in the men's three-metre synchronised springboard respectively, got engaged at the world's biggest sporting event. According to the BBC, the pair had been dating for the past six years and He Zi did not expect Qin Xai to propose at the Olympics. Good on you Qin Xai, make it even harder for the rest of us guys to plan the perfect engagement. Similarly, on August 9, another pair of lovers cemented their love for one another on another stage, the rugby field. 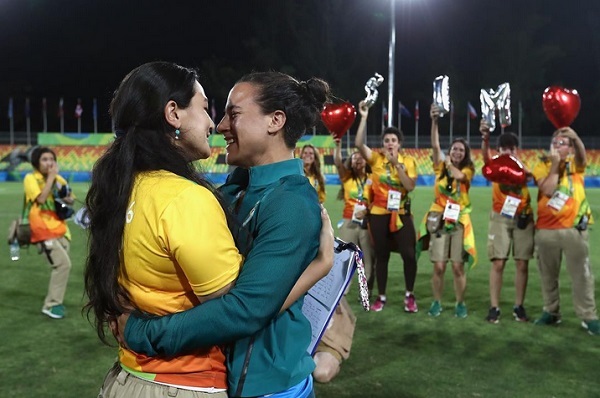 Australia had won the first women's rugby sevens gold and Brazilian player Isadora Cerullo was about to leave the grounds. 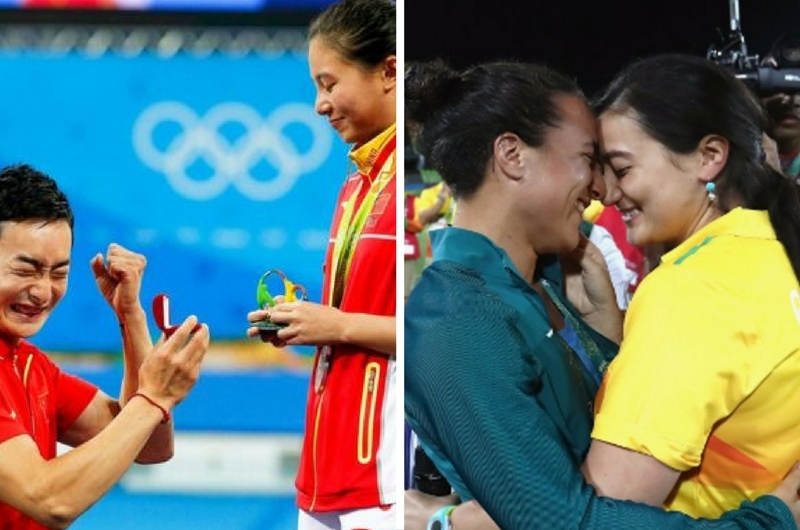 As the crowds cleared after a good game well played, 28-year-old manager at the venue, Marjorie Enya, rushed to the pitch, microphone in hand, and delivered a tear-jerking speech before popping Isadora Cerullo the question. The pair had been dating for two years and with applause and an embrace, Isadora said "yes". Enya is quoted by the BBC as saying, "I wanted to show people that love wins."